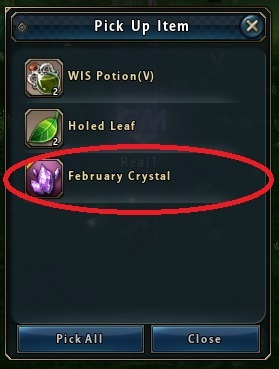 Cupid's arrow is searching for Love and this year, the Valentine's Day Event is back! 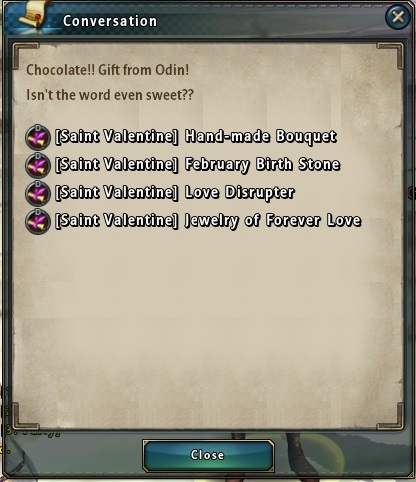 That's rigth John and Magery are back to spread the love across Rune-Midgard. 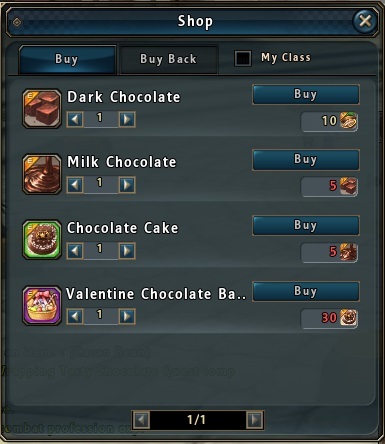 Collect chocolates for your chance to get the "The Grand Heart" Khara title! 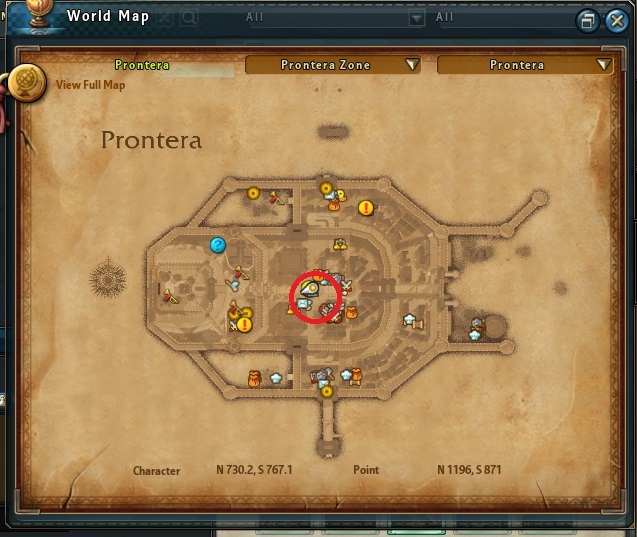 You may begin your journey in the middle of Prontera! There you will find Magery Bruce and John Pestin. Once you have located each of them, they will have a series of Daily Quests that can be completed during the run of the event. Once you are ready it's time to explore Rune-Midgard! 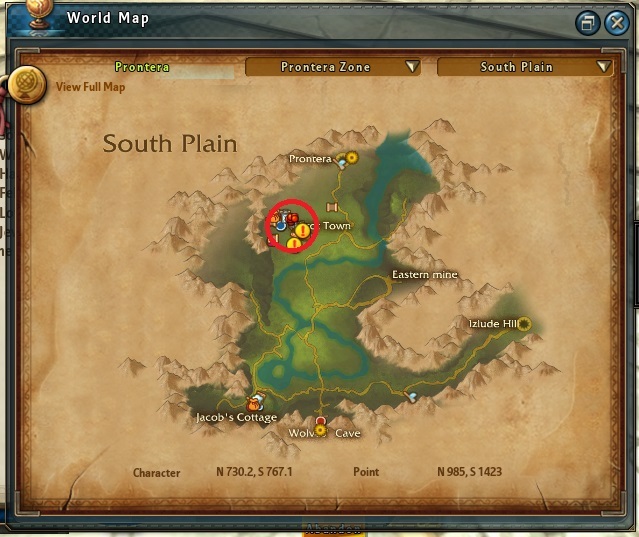 You will find the mob you seek just south of Prontera as well; Red Plains Flip. 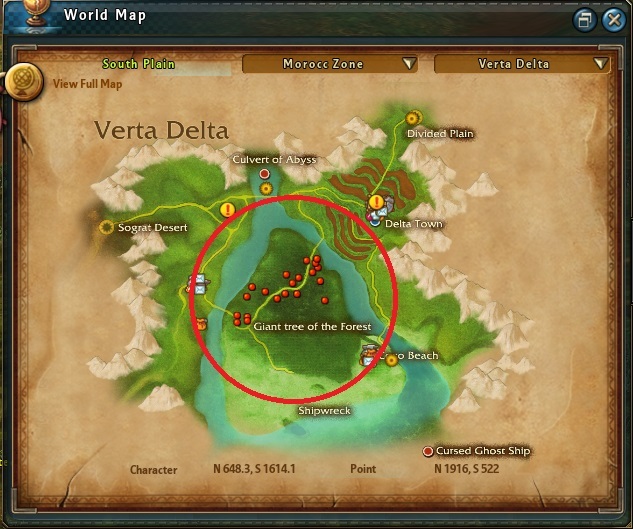 If you are looking for the Eternal Flower you may find them scattered across Verta Delta. You will find the February Stone among the Pranks you will find it Verta Delta. 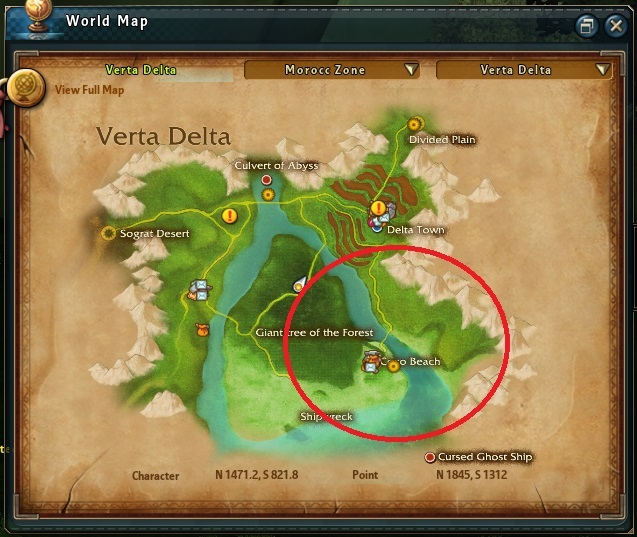 For the next quest you will need to comb the beaches of Verta Delta. 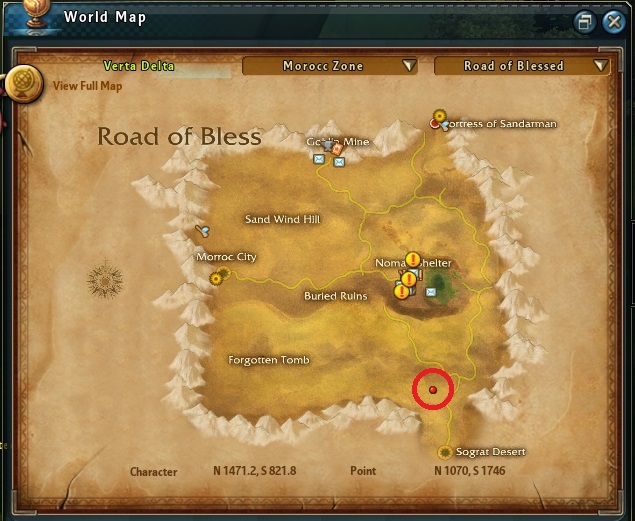 Next, if you seek the Diamond you may find it in the Road of Bless. After completing the quests you may return to Prontera and begin the chocolate making Process. While traversing the world however you do not need to complete just these quests to earn your chocolate delights! You will also find spawns throughout Rune-Midgard or by killing monsters that are 5 levels within your level range. Not only that but Dark Chocolate and Milk Chocolate will recover HP when eaten and Chocolate Cake will give you an HP boost of 3000 for an hour! You may exchange them with Magery Bruce. And if your Chocolate Hoarding is as masterful as can be you may get the Valentines Chocolate Basket that will give you the Khara Title: The Grand Heart! So get out there and collect that sweet sweet chocolate! Chocolates will also randomly drop off of monsters around your level! The Lunar Festival has come to an end and it seems that Loki is up to no good again. Some key characters from this event have been abducted and scattered around Midgard. Help us find them so that we can get them home safe and sound. Take these clues and go find the missing NPCs! Thor will reward you for your effort.... if we can find him, that is. 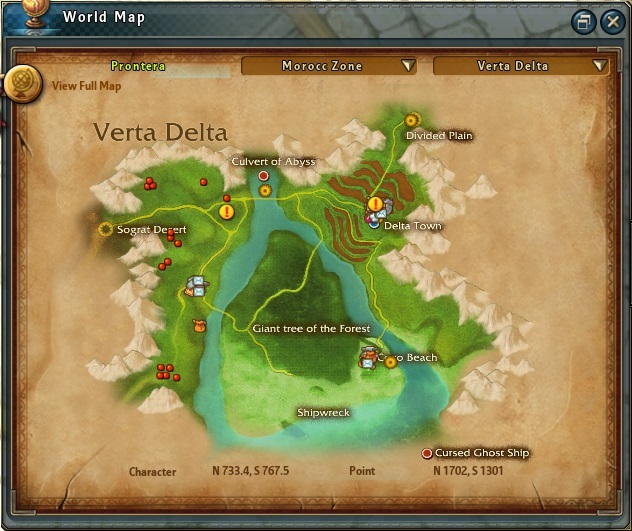 Note: All NPCs can be found in Channel 1 only, unless it is a map that does not have Channel 1 as an option! Entries will only be accepted in a direct forum message to me. To message me, click my name next to this post and select the message option. You can comment on the forum here, but do not discuss the clues or whereabouts of the missing reindeer. If you are found spoiling the fun of the scavenger hunt for others, you will not be eligible for prizes and you will be subject to my wrath. In the message please include your in-game name. Link to screenshot image of the missing NPC. Screenshot must include your character with visible in-game name and must be un-edited. One screenshot per clue is required. Please upload images to a public sharing site. www.imgur.com is preferred. You do not need an account to upload images. One entry per person. If found entering multiple times, your entries will be invalid and you will be blacklisted from future scavenger hunts. Enter only through a direct message to me on the forums. 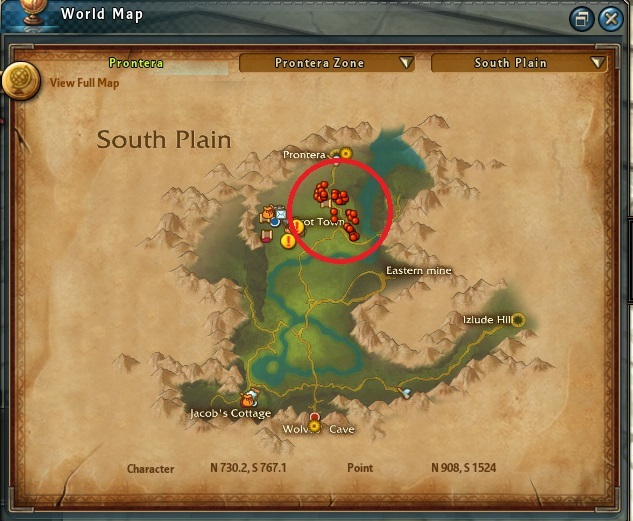 Do not publicly (forums or in-game channels) announce the location of the missing NPCs. Prizes will be distributed based on how many NPC you find. Share the Love: Connect with Ragnarok 2 and Win! A Month of Experience and Bonus Rewards! From February 6 to March 6, join the fun, connect with Ragnarok 2, and earn fantastic prizes and events for the entire server! Each entry received will help unlock server-wide prizes including experience bonuses, items, and events! Every entry counts toward a tier unlock. Once unlocked, everyone who logged in during the week (the period between regular maintenance) for at least one hour will be eligible to receive the prize. For example, if 2,000 entries are received during the first week, the first maintenance will increase experience to 200% and distribute the prizes to the temporary storage of anyone who had a qualifying log in. The next week, you will have to log in again at least one hour (account-wide, uninterrupted) to receive the item prizes that unlock. Server-wide bonuses such as events and experience are applied automatically to everyone. Return of Happy Hour Boxes for one week! 900% Experience for the entire server, throughout the event. 1,000% Experience for the entire server, throughout the event. One 3-Slot Costume Item of Your Choice! For multiple-piece costumes, one piece from the set can be chosen. In order to enter, you must first sign in (using Facebook, Twitter, or Email) to the Gleam.io page linked below. Once you have done that, you can earn additional entries by connecting with Ragnarok 2 accounts in different social media platforms, including Twitter, Facebook, YouTube, and Twitch. You can earn additional entries by spreading the word about Ragnarok 2 through things like Retweets and sharing Facebook posts. Some of these activities will give you entries each day, so make sure to check the page frequently to see if you have new options. To increase the number of entries possible each week, live Twitch live-stream views will count as additional entries. Tune in to have your presence counted! Additionally, a code will be given out at each RO2 Live Stream (Thursday at 5PM) to earn you TWO more entries! Just return to the Gleam campaign page and input the code. Have you been waiting all year to tell that special monster or NPC how you feel about them? Is there a monster or NPC that you find particularly lovable? Have you been looking for the perfect way to show them how much you care? Take this chance to express your feelings through a heartfelt Valentine's Day card! Entries will be accepted from February 6 to February 27. Enter a new, originally created piece of art dedicated to your favorite NPC or monster. Draw, paint, sculpt... any medium your heart desires! As long as it can be captured in an image and is created by you. Must include a Valentines greeting. Make it look like a card or image you would send a real valentine! There will one grand prize winner per category. Each grand prize winner will receive a 3s costume item of their choice. If the costume item has more than 1 piece (for example, Swag costume) you can pick one piece of the set. Submit your entry in this forum topic! Dapara's EXP Boost Week is here! Enjoy 200% EXP during the week and 500% EXP on the weekends during this week! The Sweet Chocolate Box is here to satiate your Valentine needs! 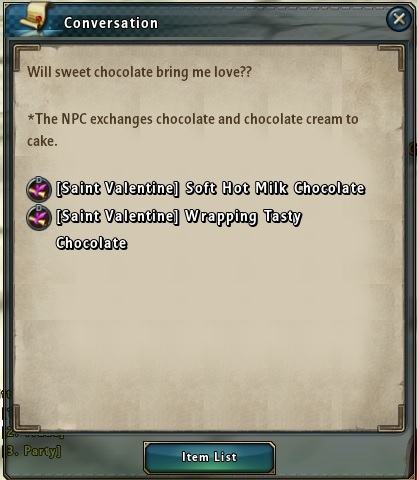 Looking to skip the grind and get your Valentine titles sooner, or just wanting to appease your sweet tooth? Check out the Sweet Chocolate Box in the shop for 10 Kafra Points! 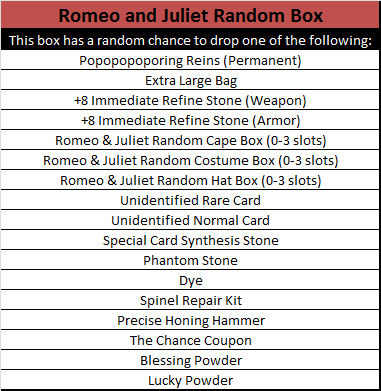 The Romeo & Juliet Random Box takes the top slot in the Phantom Pyramid! During the Valentine Event, we've replaced the top item in the Phantom Pyramid with the Romeo & Juliet Box! Check out it's contents! We've got a big sale going on through February 22! Our Elite Membership Packs, Phantom Stones, Fusion Items, and Platinum Cosmetic Boxes are discounted for the next week! - Buff Timer Bug: Only the player that creates a siege weapon can view the timer for the new self-destruct debuff. Also, fixed other players from seeing timers during War of Emperium.